A new resource has been launched to help young people with dyspraxia who may find themselves in difficult situations communicate more easily about their condition. The card, developed by the Dyspraxia Foundation and similar to those used by people with autism, can be used to advise anyone – such as police, passers-by, emergency services or shop assistants – of the possible difficulties the card carrier may have, as well as providing contact details in the case of an emergency. Additionally, the card lists essential information on how to deal with someone who has dyspraxia including explanations of possible difficulties with social interaction, communication and understanding. The card advises legal and criminal justice professionals that the holder is a ‘vulnerable person’, whether as a victim, witness or suspect and that their difficulties could put them at a disadvantage when their actions and behaviour can be misinterpreted and will need an ‘appropriate adult’ to be present. Funding for the credit card-sized resource came from charitable foundation St James’ Place. Theresa Hart, a trustee of the Dyspraxia Foundation and also a parent of a teenager with dyspraxia said: “All mothers worry about their teenage sons and daughters when they start going out and about on their own, especially in the evenings. We can’t protect them from everything but we at least want to be able to prepare them for difficult situations they might encounter. Members of the Dyspraxia Foundation can purchase the cards at a reduced rate from the Dyspraxia Foundation’s website shop [www.dyspraxiafoundation.org.uk/shopping/]. 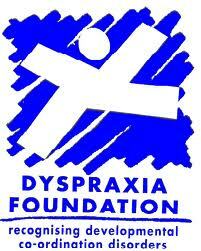 It costs £2 for Dyspraxia Foundation members and £5 for non-members.